Bosch Rexroth introduces innovative drive solution for movable bridges and ship lock gates. Compact integrated electro-hydraulic solutions provide plug-and-play installation and control. 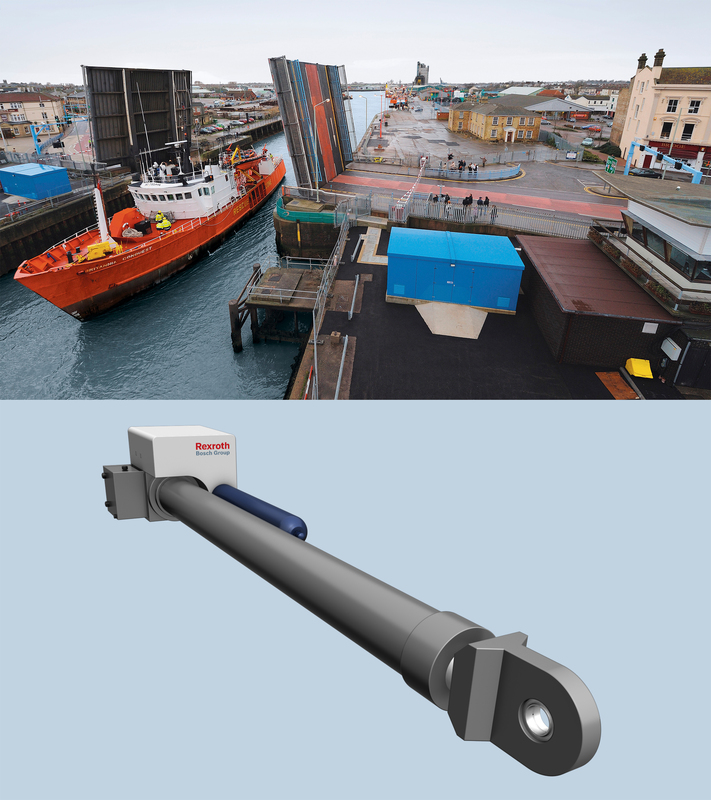 The leader company Bosch Rexroth has introduced a new system concept of electro-hydraulic drives targeted at large civil engineering and infrastructure projects, such as ship locks and movable bridges. The innovative system features a compact hydraulic cylinder with integrated servo-hydraulics. The new actuators use a closed loop system, which means that there is no need for large oil storage reservoirs at the site, often a significant factor in civil engineering or industrial projects. This has the additional benefit that the systems can fully tested before delivery, significantly reducing testing and commissioning onsite. The hydraulic cylinders are also very resilient to sudden shocks or external loads, such as those caused by a ship moving into and through a ship lock. 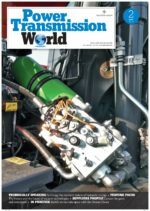 «This solution draws on closed-loop hydraulic systems that we developed for the offshore market. By combining those with our proven drive technologies, we have developed an innovative solution that addresses the needs of the civil and infrastructure markets,» said Ron Van den Oetelaar, Vice President Business Unit Large Projects at Bosch Rexroth. The new systems bring together proven technologies from six different Bosch Rexroth divisions including the closed loop hydraulic cylinders, the electric drivers, power units and the control systems. The latter can be installed separately in their own cabinets or integrated with the overall operating or control system for the project. Additionally, the system can include sensors that monitor oil quality, temperature, etc. This allows for remote monitoring of the systems and enables predictive maintenance, as the operator can see if there is an issue developing and schedule maintenance outside of normal operating hours. Among the examples of bridges activated by Rexroth technology, a significant case is the Tower Bridge in London: this tilting bridge opens thousands of times a year to allow the passage of boats with superstructures or tall sailboats, with a time of opening about one minute. Bosch Rexroth has planned the drive and control solution for the opening mechanism for the bridge sections, which weigh around 1000 tons. Modern hydraulics also protect the historical structure from the damage caused by heavy goods traffic: the hydraulically adjustable wedges ensure that all the forces and vibrations that occur are dissipated evenly. During the rush hour as many as 6,000 vehicles cross a pontoon bridge over Dubai Creek. To ensure that traffic always travels over the bridge safely, the electronically controlled hydraulic tidal compensation, built by Bosch Rexroth, raises or lowers the access ramps to suit the water level. This floating bridge is the only one of its kind in the United Arab Emirates, joining Dubai City with the surrounding areas. Six lanes with an overall width of 22 meters and a length of 365 meters cross Dubai Creek. Especially at peak hours it provides relief for traffic in and around the inner city. Some years from now a larger, permanent bridge will replace the interim floating concept.